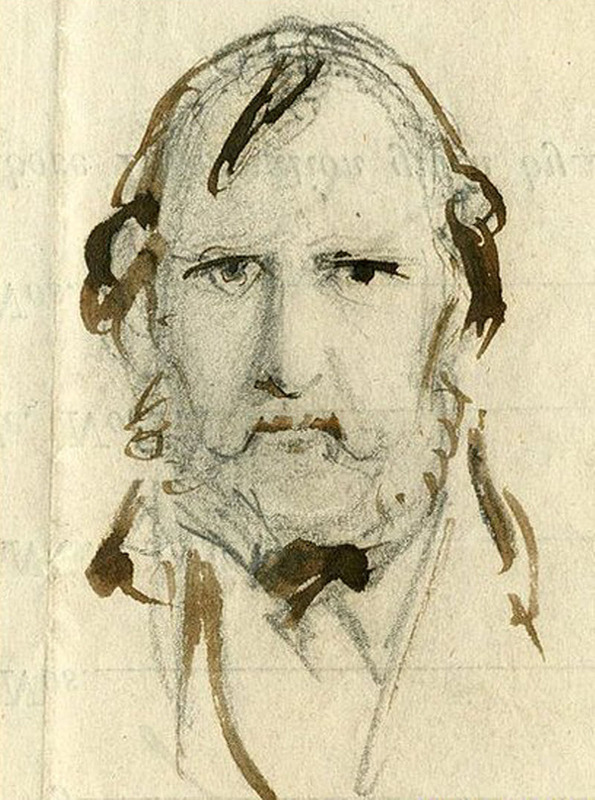 The Tower of London was a historical melodrama written by William Ainsworth in 1840. 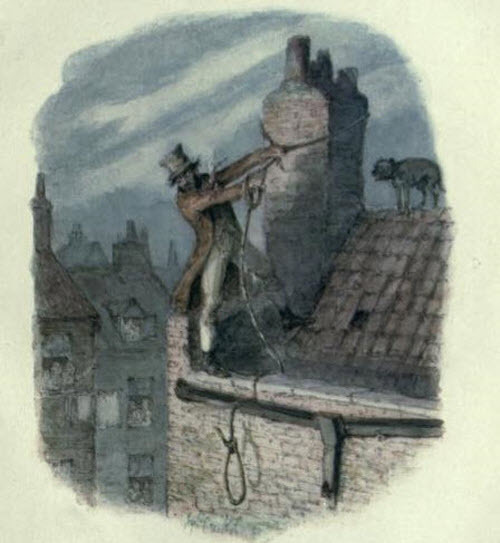 It was illustrated by George Cruikshank. 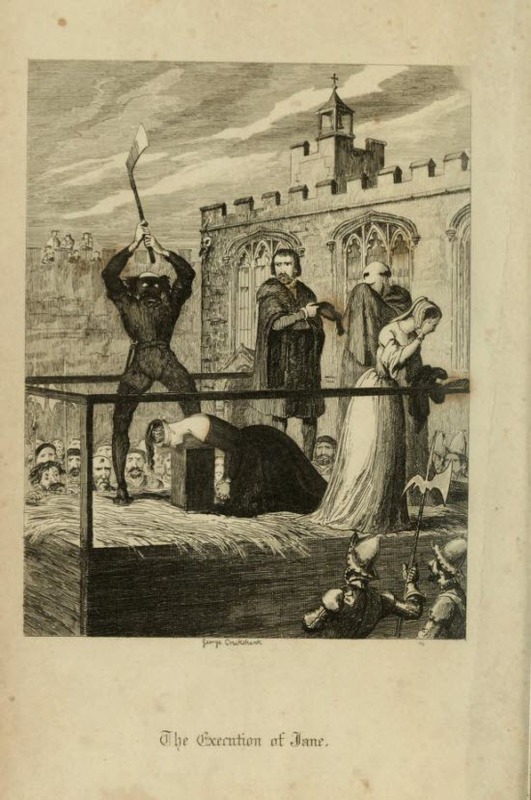 The book tells the history of the Tower of London, including the sad story of Lady Jane Grey (1536/1537 � 12 February 1554) who reigned as Queen for 9 days before being imprisoned in the Tower and later executed at the age of 16 or 17. 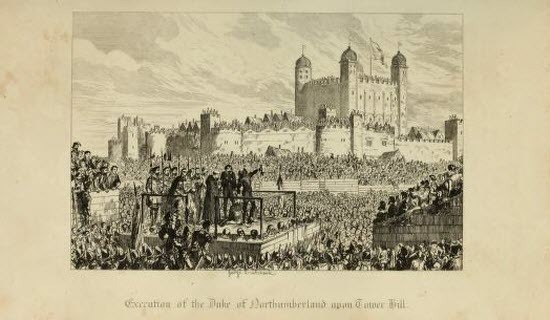 The downfall of Lady Jane Gray forms part of the struggle between Catholics and Protestants during the Tudor era, and marks the ultimate rise of her Catholic half sister Queen Mary, known as Bloody Mary to the throne of England. 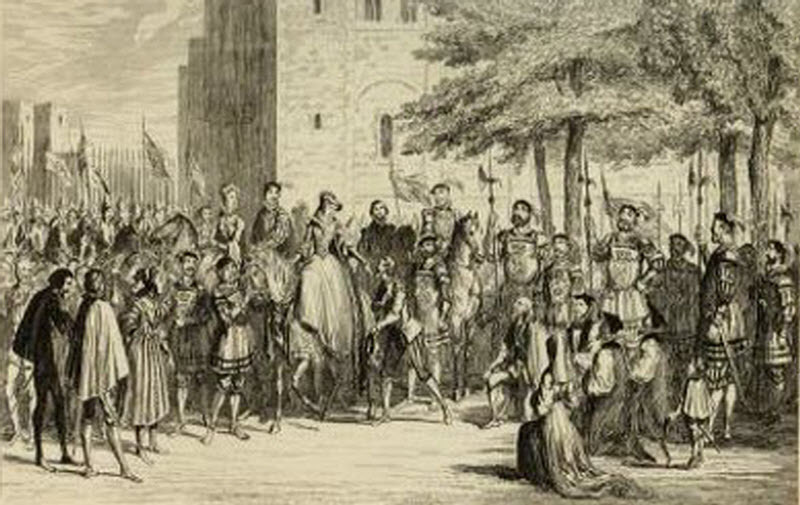 Because Lady Jane refused to convert to Catholicism even though that might have saved her life, she was regarded as a Protestant martyr. 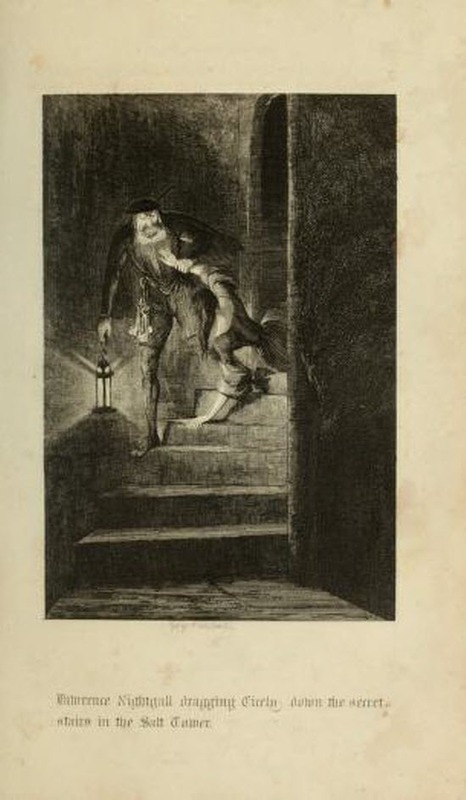 The popular conception of the Tower of London as an evil place of torture and hopeless imprisonment were shaped largely by Ainsworth's novel, though the book itself is today now largely forgotten and unread. 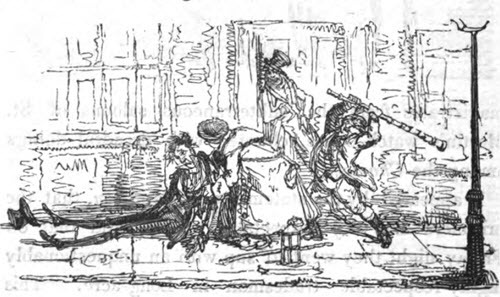 The illustrations by George Cruikshank reflect the general gothic atmosphere of the novel depicting in accurate details the many tragedies that have unfolded within its walls, including the execution of Lady Jane Gray. 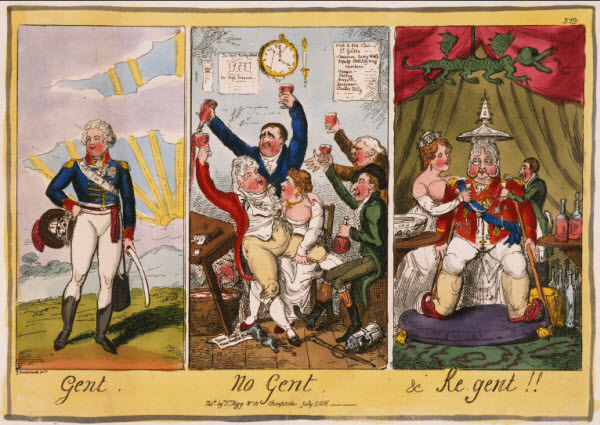 Here are some selected drawings by Cruikshank taken from the book. 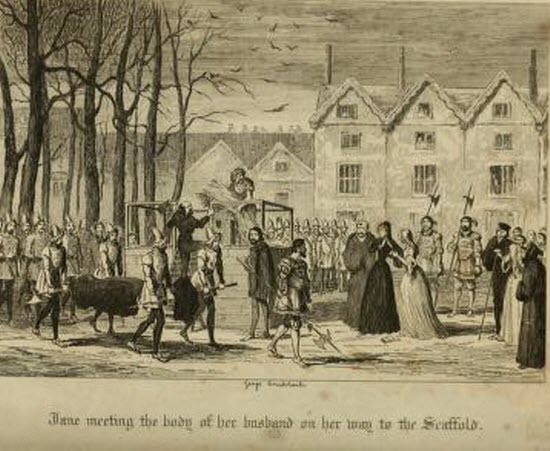 Jane meeting the body of her husband on the way to the scaffold. 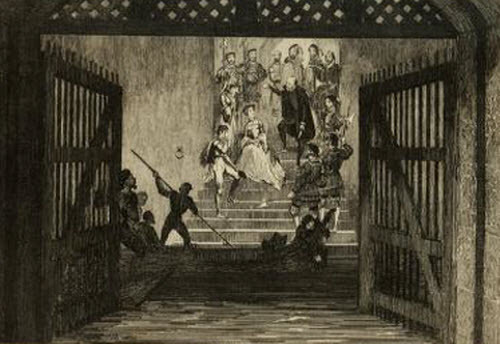 The beheading of Lady Jane Gray.